This weekend (June 14-15) Archimandrite Luke Murianka will be our guest. 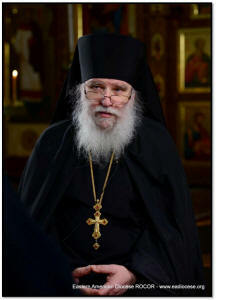 He is the abbot of Holy Trinity Monastery in Jordanville, NY and the dean of the Seminary. Be sure to come greet, worship and visit with Father Luke! He will be answering questions during the afternoon instructional talk.